Does your life ever feel like a train wreck? I think this might be how my house feels at the moment. 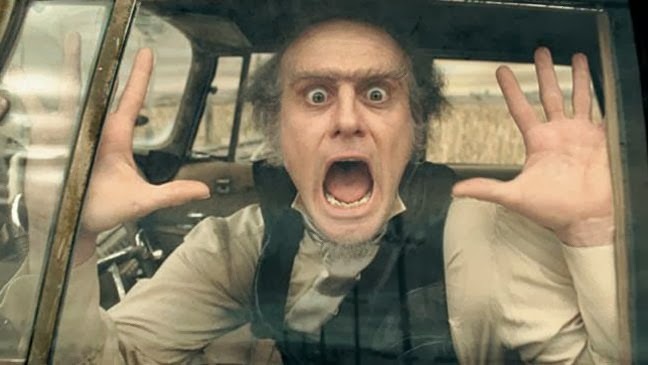 All right, that may be a more accurate representation of me at the moment. If you go upstairs, there are still Christmas boxes and decorations just hanging out. If you go downstairs, there are still Christmas decorations just hanging out there too. 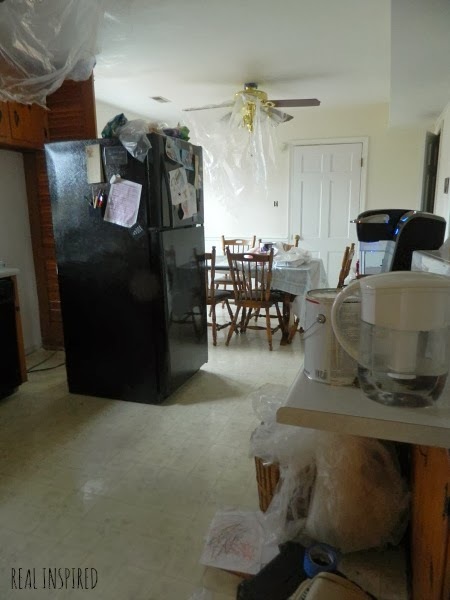 Also, the kitchen threw up in the living room. 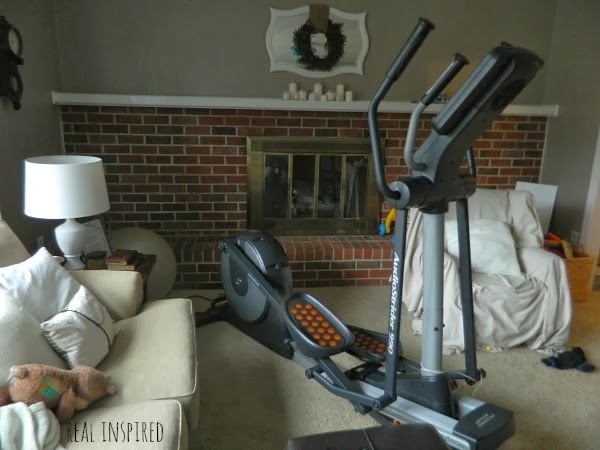 Oh yeah, and random eliptical machine that still doesn't have a home yet. Have I mentioned we've been painting the kitchen? Because we have. It's coming along quite nicely too. 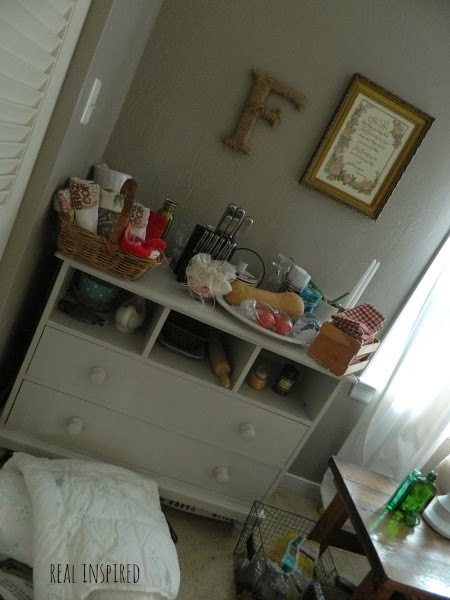 It was the one room in our house that I wanted done before we had our next kid. And here we are, a month away from next kid and on schedule to have it done, thanks to some wonderful friends and family. But, you know, in the middle of all this mess, one might be tempted to not make it worse. But that extra mess might be exactly what you need. What your kids need. Before we put it up for next Christmas, Hubby thought he'd get out the brand new, never opened, train set we got this Christmas. 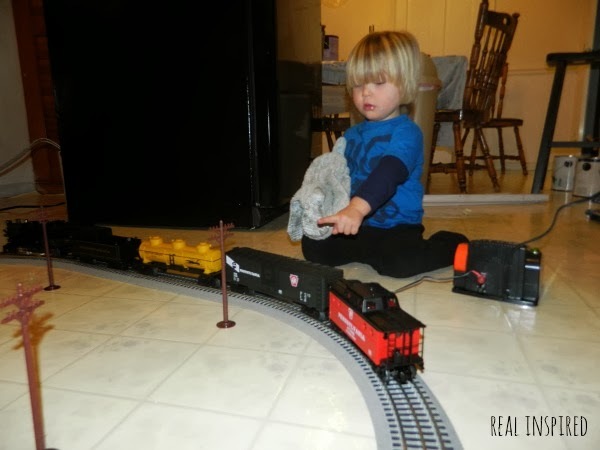 Little Man likes trains and we thought he'd get a kick out of this one. Little Man's newest fascination is telephone poles and this train came with a whole bunch of them! He was quite excited about that. 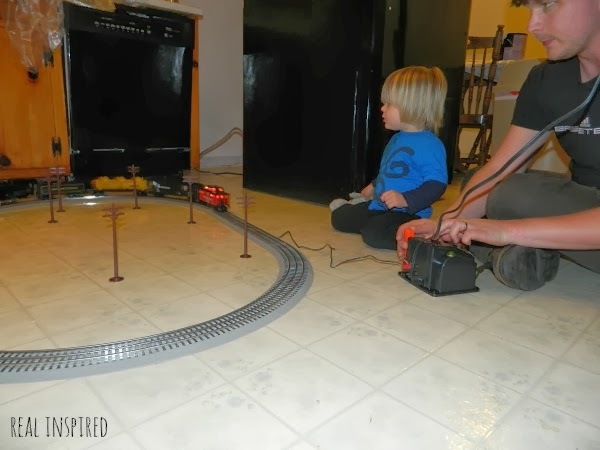 In the setting up process, Hubby walked out of them room to get something and this kid figured out how to turn the train on. You can guess a two year old's reaction to accidentally making this big train move. I would say equal parts fascination, excitement, and fear. The train was a great success. Sometimes you just have to make a bigger mess and make some memories. He won't remember the house looking like a train wreck. 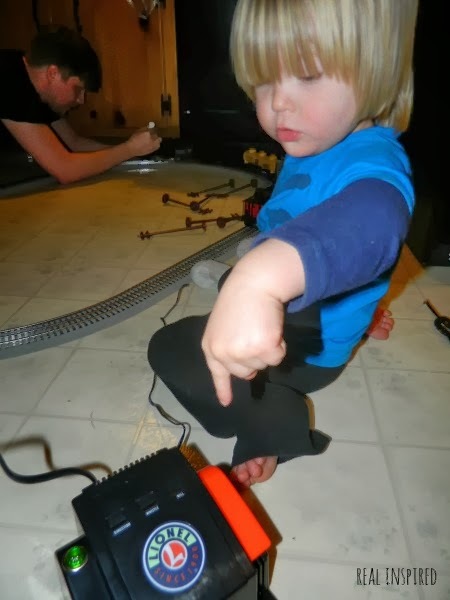 But he might just remember the first time he and his daddy put together a cool train set, complete with fake steam.